Inventory down 12% (202 vs 230 last year). Sales up slightly (14 vs 12 last year). proposition, are well received by the market. 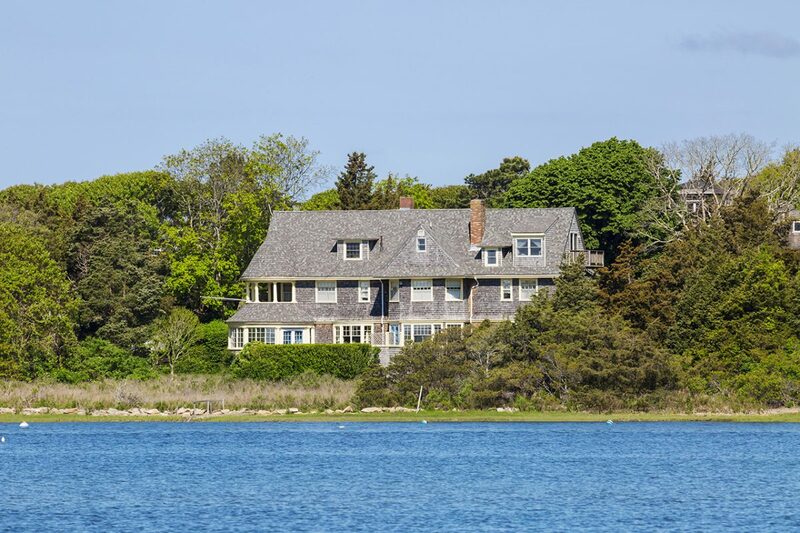 On Cape Cod, Massachusetts, in the first quarter of 2018, the inventory of high-end listings decreased by 12% to 202 listings compared to 230 last year and the record of 253 listings in 2016. On average, since 2009 there have been 221 listings at the end of the first quarter. Sales were up slightly in the first quarter (14), compared to 12 sales last year and the record of 19 sales in 2005. On average, since 2009 there have been 12 sales at the end of the first quarter. St Mary’s Island, a unique private 5-acre island connected by a causeway to the mainland. 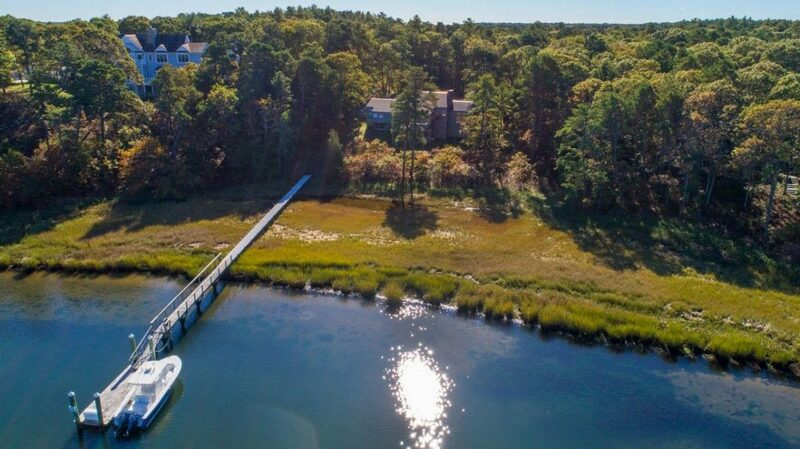 The Norman-style residence has nearly 9,000 square feet of living space plus a one-bed cottage and a deep waterdock. 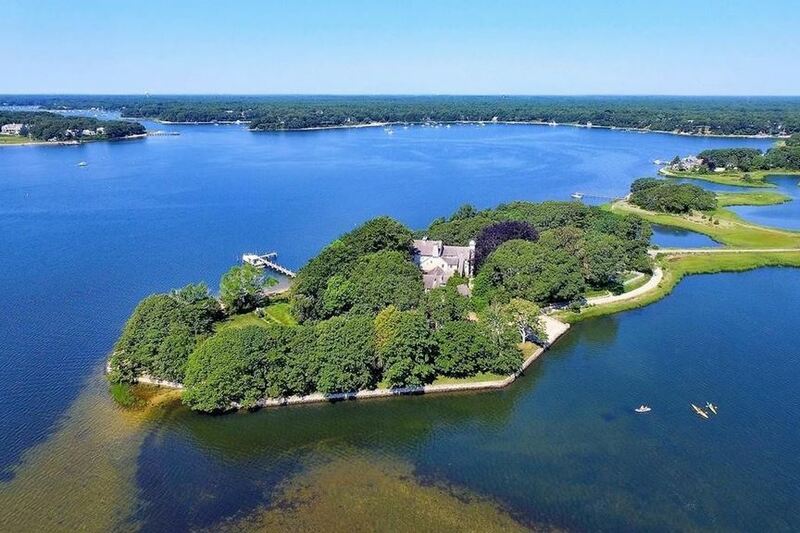 Originally priced at $18,500,000, the property sold in 168 days. Days on market for high-end sales in the first quarter decreased significantly to 287 from 417 last year, and were also above the average of 429 from 2009-2018. 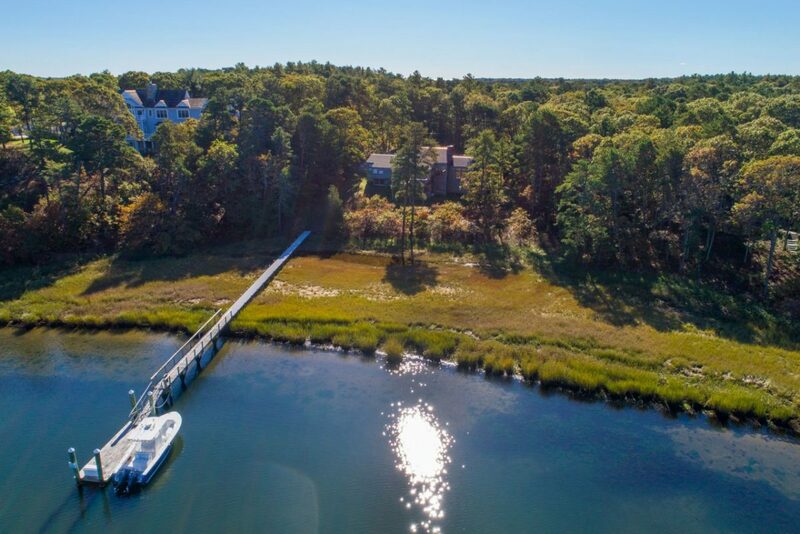 In the first quarter of 2018, 8 of the 15 towns on Cape Cod had sales at the $2,000,000+ level. 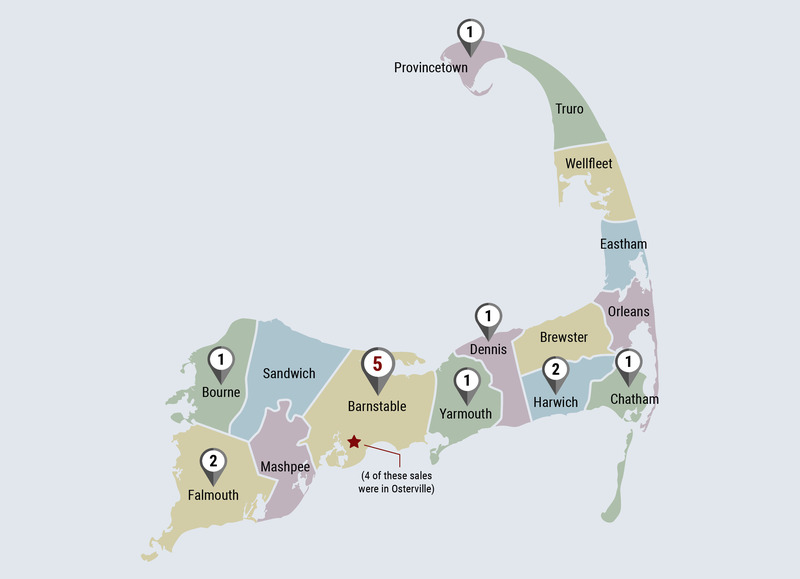 Barnstable led with 5 sales, of which 4 were in Osterville. Falmouth and Harwich followed each with 2 sales. Bourne, Chatham, Dennis, Provincetown, and Yarmouth each had 1 sale.